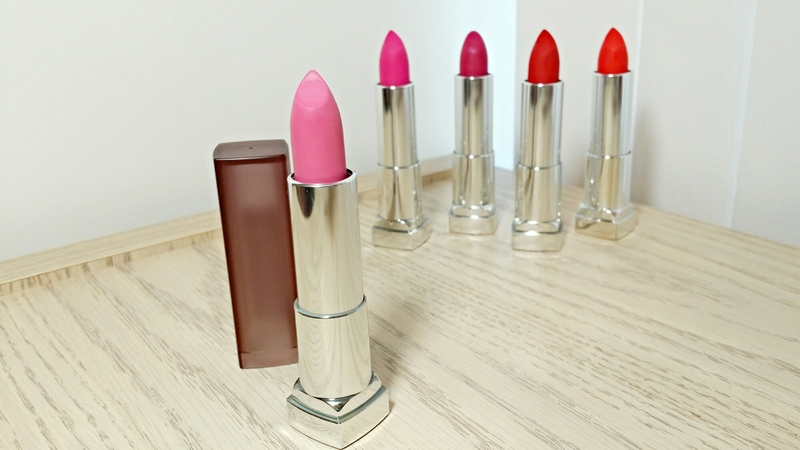 Oh, how I love you, pale baby pink lipsticks! Why can’t you just love me back? 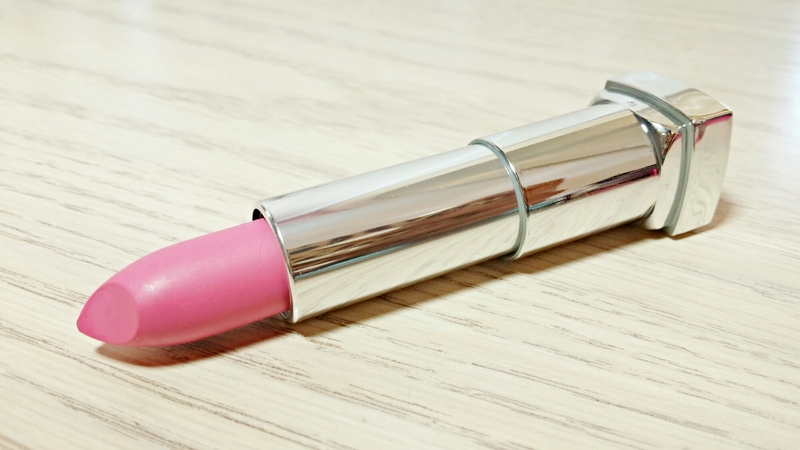 I’ve tried so many different pale pink lipsticks with high hopes but I’m always left feeling disappointed. No matter the brand or formula they always seem to settle into lip lines and look powdery. When I saw Ravishing Rose in the new Maybelline Color Sensational Matte Lipstick display I had my fingers crossed that it would work for me. It’s actually a lot less pale than other pinks I’ve tried but, sadly, it came up a little short. Ravishing Rose is a light neutral pink with a creamy matte finish and strong powdery floral scent (like the other Color Sensational lipsticks). The finish reminds me a lot of MAC’s new matte formula. It has a tiny bit of sheen to it but not so much that it crosses into satin territory. 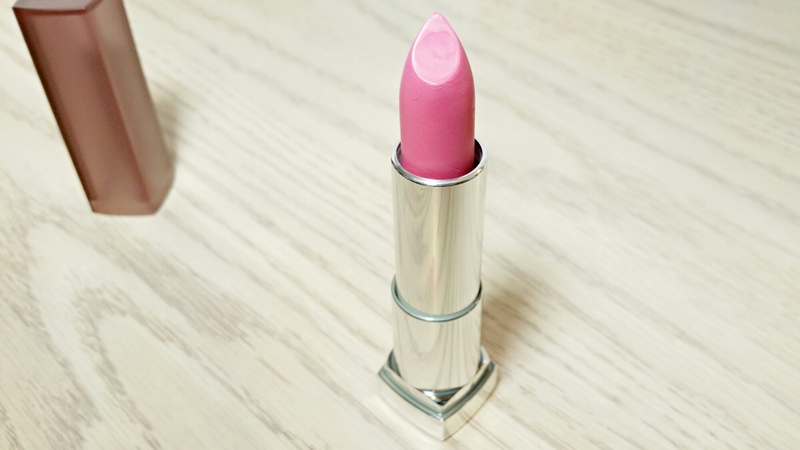 Ravishing Rose would have been a great everyday pink lip if the formula worked a little better for me. 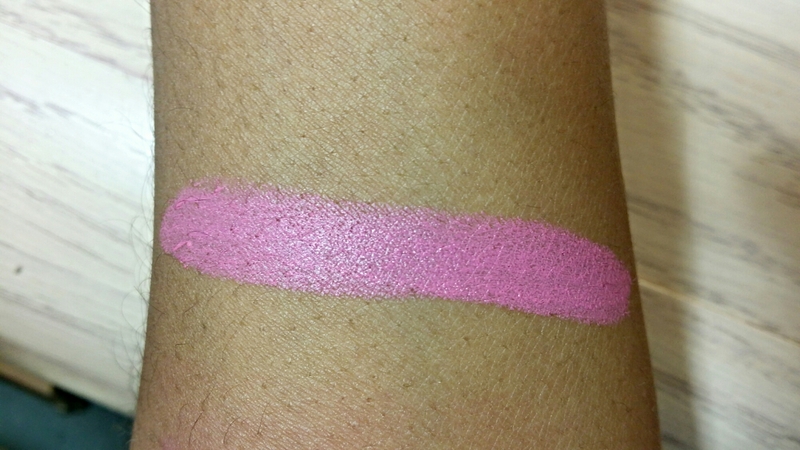 The color isn’t too pale and has enough depth to work very well for WOC. It sort of reminds me of MAC Haute Altitude lipstick (which I love!) except it’s darker, warmer and a bit more pink. I was expecting it to work a little better as an everyday shade than Haute Altitude but the formula left a lot to be desired. Don’t get me wrong! The formula didn’t feel bad. It just looked bad. Ravishing Rose applied rather smoothly and felt pretty creamy for a matte. It didn’t even seem to be drying, honestly. It just made my lips look like they were dying for some balm! It settled into every lip line and emphasized every flake and imperfection. Plus it looked so powdery! It even left noticeable lines when I smooshed my lips together. Ravishing Rose lasts for around 3-4 hours before it begins to fade but it doesn’t completely wear away until around 5-6 hours. While it’s pretty long lasting you’ll definitely want to keep an eye on it throughout the day. It doesn’t fade evenly at all and leaves behind that dreadfully icky ring of color once it’s gone. Not to mention, it makes dry lips look progressively worse as it wears on. If you have smooth, line free lips then you’ll probably love Ravishing Rose. It’s a beautiful color! 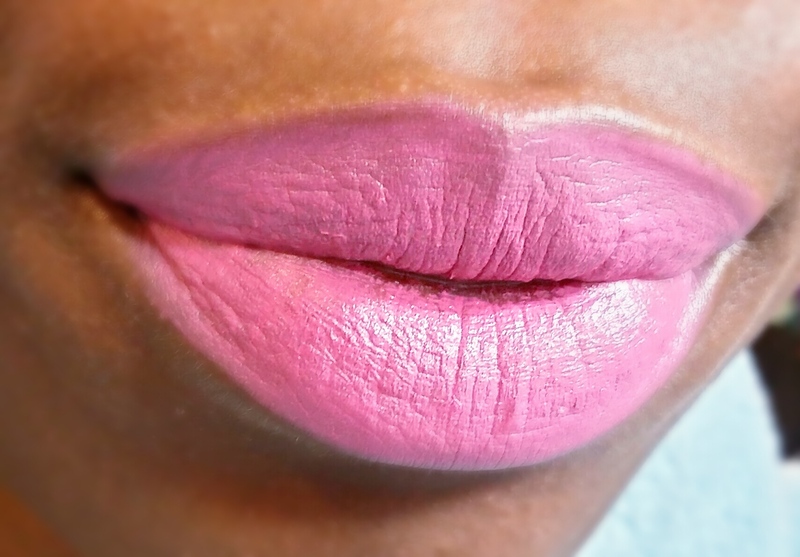 But if you’re working with drier lips and lots of fine lines then I’d avoid this shade.